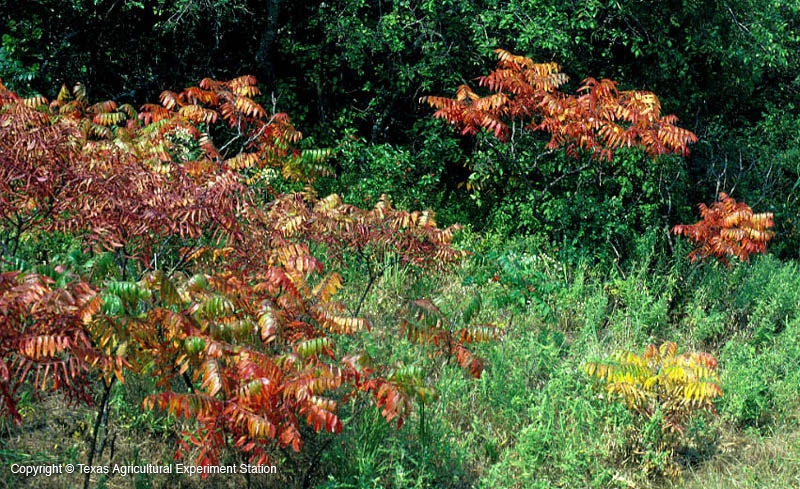 Shining Sumac is a fast-growing but short-lived small tree of east Texas that is usually found in openings and edges of forest and woods. 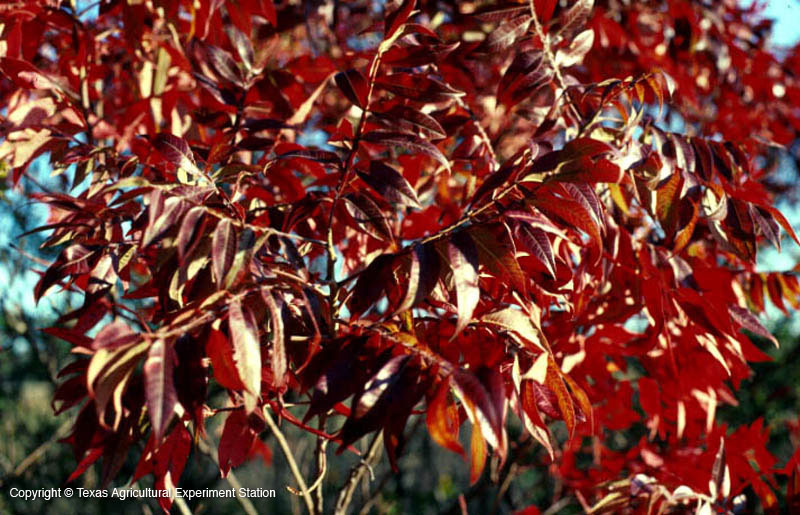 The winged, featherlike leaves turn a brilliant red in the fall. It grows to 30 to 35 ft and suckers readily, forming large groves. 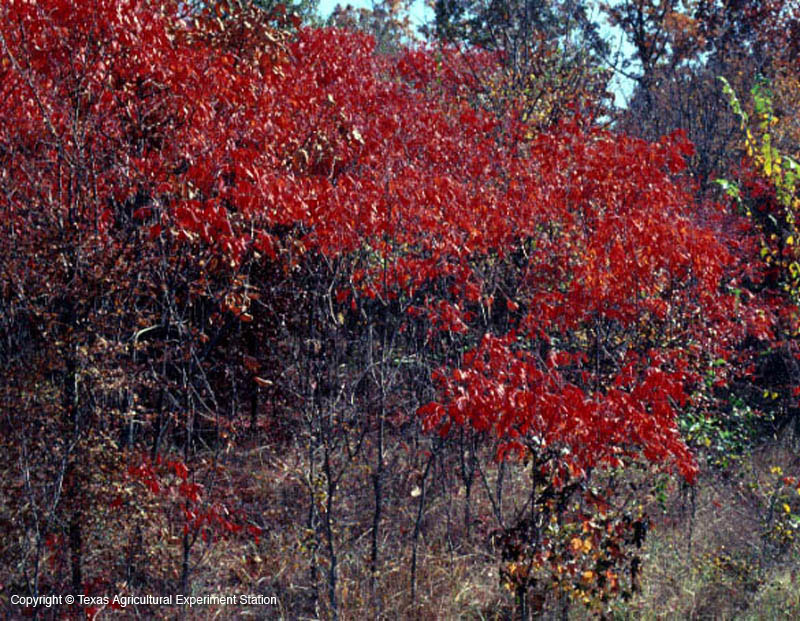 Female trees bear dense red clusters of fruit in summer that remain on the branches until winter. The fruit is an imporant food for wildlife.